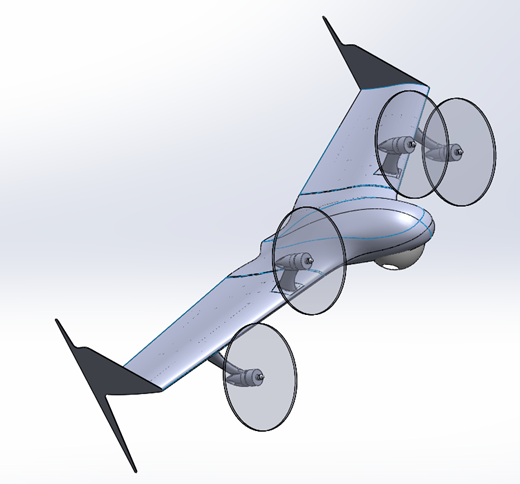 UAV Works has successfully designed, built and proved this unusual aircraft concept. 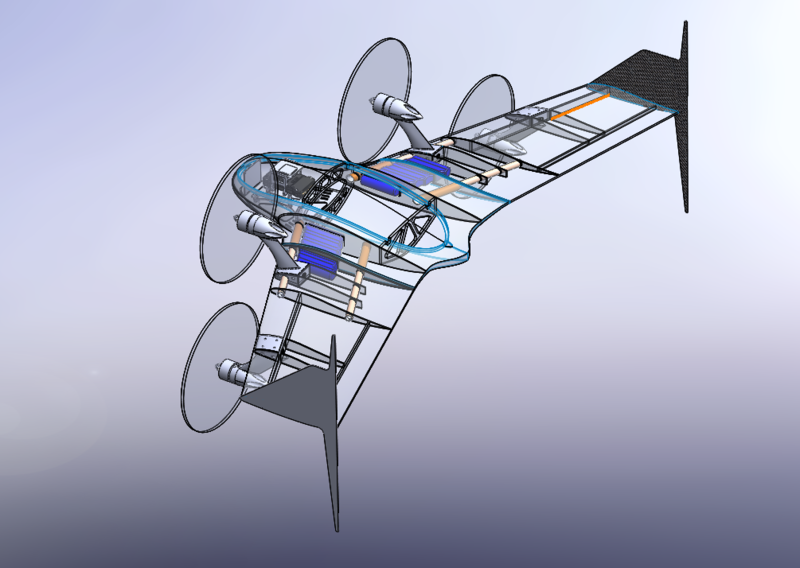 It is a flying wing with four engine with trapezoidal setting (non lineal), achieving a VTOL capacity as multicopters do. At the other hand its aeroplane mode assures the highest endurance. 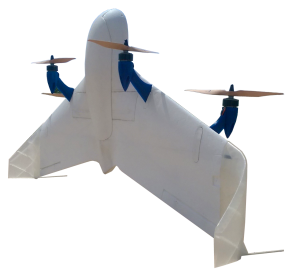 The combination of both modes aeroplane + multicopter, makes our product the best choice for surveillance, mapping and courier aerial missions. 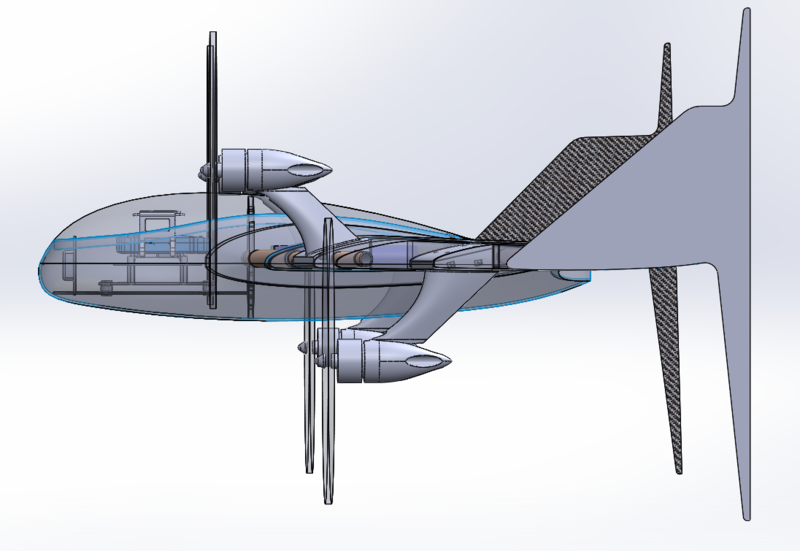 Its simple design avoiding complex systems and parts, make it costless, low weight and low maintenance for all operations. Why does this concept isn't known and broadly used? 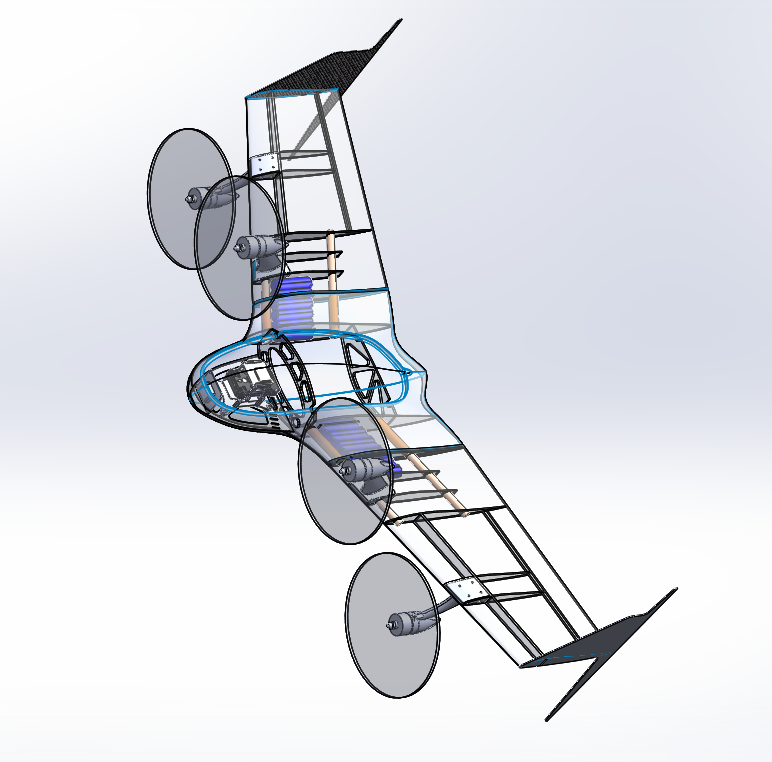 A convertible aircraft is not easy to get it work in a proper way. The many possible solutions are widely explored and it is known all are complicated and no very efficient. One of the biggest problem is to get a controller that works completely in an automatic mode, assisting the pilot to successfully complete transitions from multicopter to aeroplane mode and viceversa. 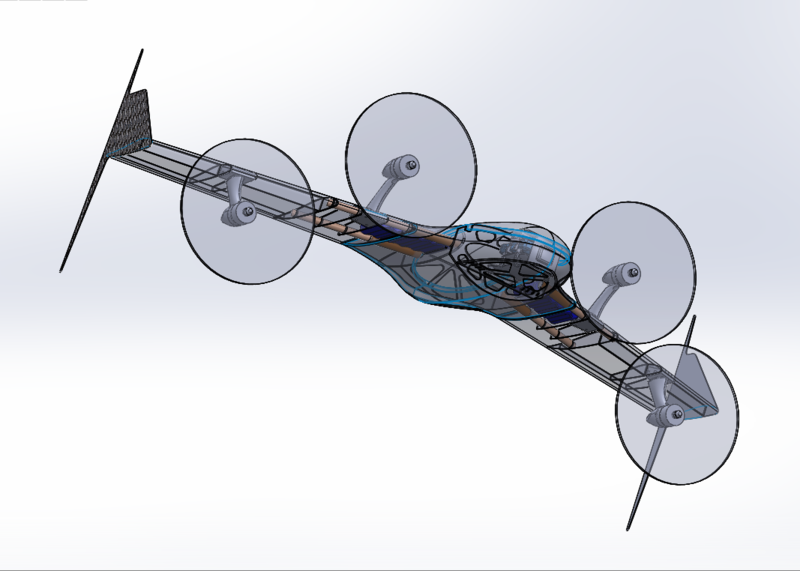 Our convertible aircraft does reliable transitions from one mode to another with no fails at all, keeping the aircraft heading toward the wind achieving a full control in every change of the environment. The onboard computer, through all dynamic, static and gyroscopic sensors, will guide the aircraft with smooth and accurate controls movements. 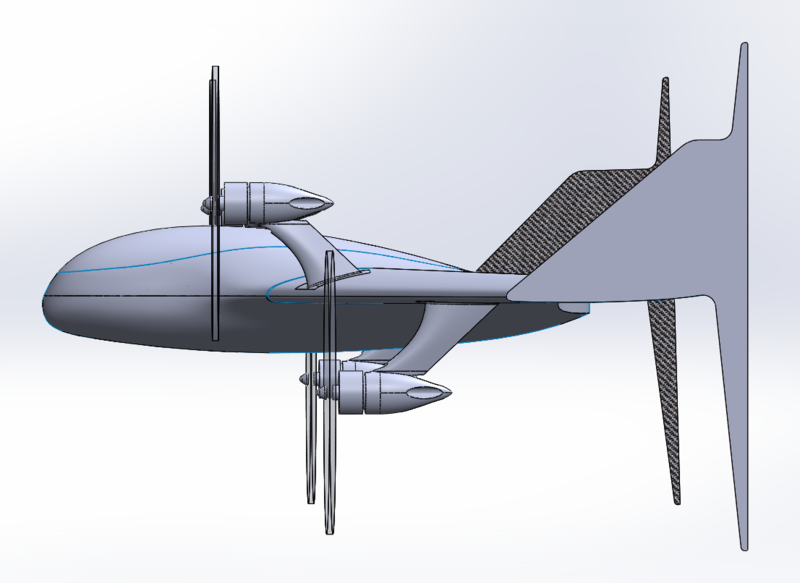 Third and last prototype. 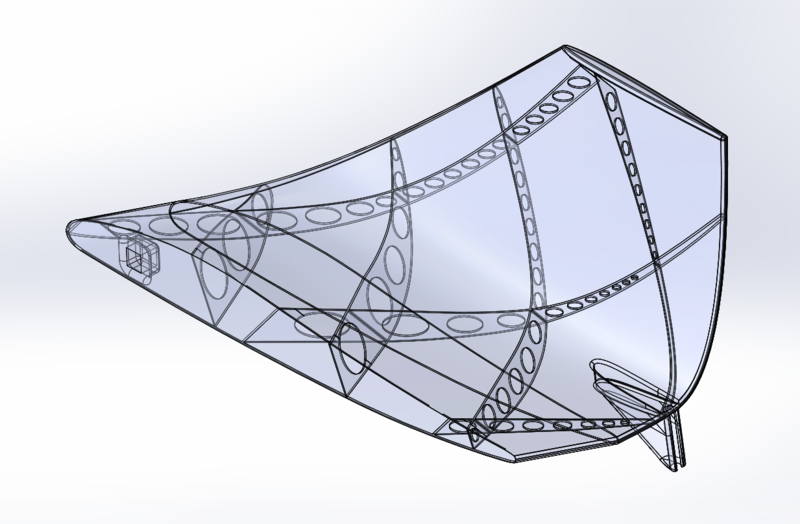 Carbon fiber structure solved all elasticity control problems. Transitions are completely smooth and accurate. 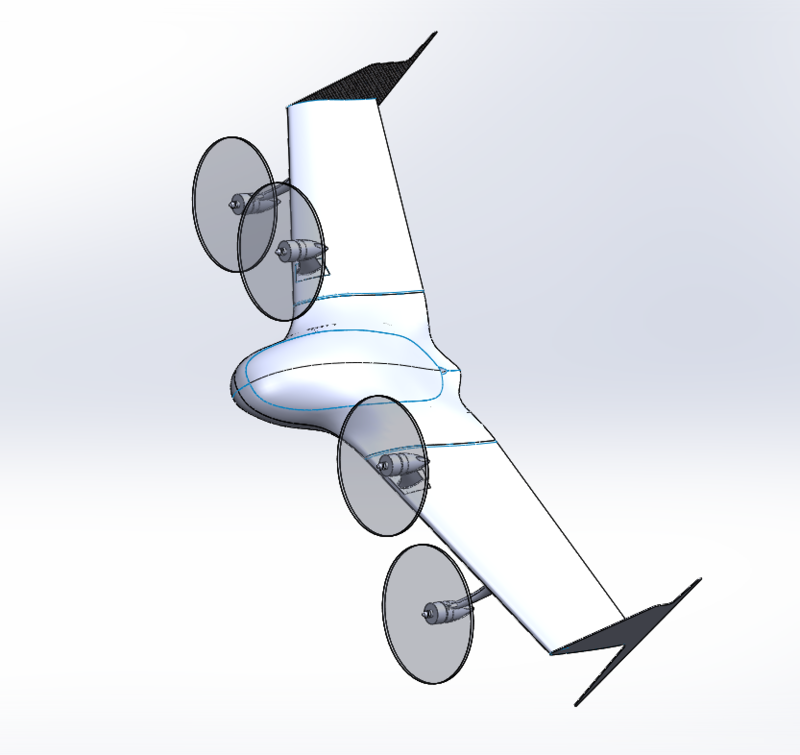 A self retractable and moving landing gear improves landing stability. VALAQ (the name of the aircraft) finally borns!! 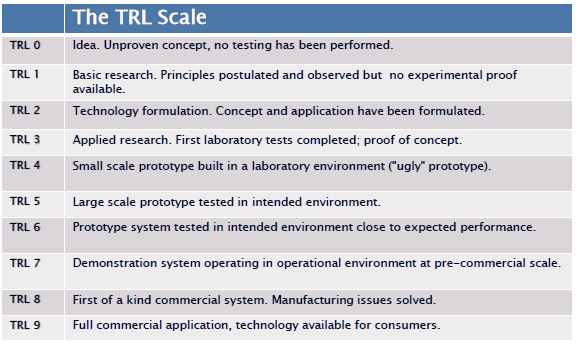 At this moment, our TRL (Technology Readiness Levels) Scale phase is in the 7th level facing the 8th. Now we are facing a TRL 8th level to get a fully commercial packed version. Flying demos are now being planned to many interested potential customers.